New releases shake up the DVD, CD, and Fiction lists; however, the Nonfiction chart remains relatively unchanged. Barry Manilow, 15 Minutes: Fame...Can You Take It? Oscar contender, True Grit, tops the DVD chart, and while nothing seems able to dethrone Adele, the same can't be said for Charlaine Harris, who tumbles several spots on the Fiction list. In Nonfiction, Ann Coulter looks to oust David McCullough from first place. What are your plans for Father’s Day? What CDs, DVDs, or audiobooks do you recommend for dads? The third season of True Blood joins the DVD list. Meanwhile, Adele and Gaga hold strong to CDs' top seeds and the sequel to Shanghai Girls debuts at fiction's top spot. Midwest Tape is exhibiting at ALA in New Orleans, and this year, we’re all about harmony. We want to show you not only all we can do to provide you the best in library services and media, but also how we can work seamlessly with your library to ensure easy ordering, shelving, and circulating. Happy libraries mean happy patrons, and we’re ready to let the good times roll—or as they say in N'awlins: Laissez les bons temps rouler! June is Audiobook Month! 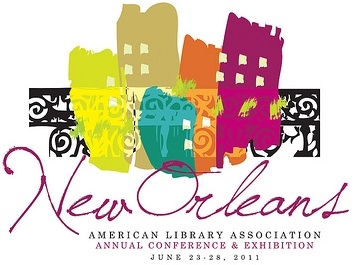 The Audio Publishers Association has planned the “Get Caught Listening” campaign, a social media blitz promoted by popular authors like James Patterson, David Baldacci, and Meg Cabot.1 The aim of the campaign is to make consumers (such as library patrons) more aware of the wealth of great titles that are available on audiobook. In honor of Audiobook Month and to get caught up in the Get Caught Listening spirit, let’s take a look at what’s going on in the world of audiobooks. A few weeks ago, we discussed ways in which you and your patrons can use audiobooks to enhance a summer vacation. Now that summer is upon us, it’s the perfect time to promote your audiobook collection. We’ve put together a collection of great summer listens for kids. In addition, summer is blockbuster season for movies; check out our June Audiobook Buyer’s Guide for audiobook tie-ins for some of this summer’s most anticipated films. The Audie competition is “the premier awards program in the United States recognizing distinction in audiobooks and spoken word entertainment.”2 The awards are handed out each year in May, with this year’s ceremony taking place on May 24. The big winner was Life, the autobiography of Rolling Stones lead guitarist Keith Richards, which took the award for Audiobook of the Year as well as Best Biography/Memoir. For a full list of this year’s winners and nominees, click here, and to shop our collection of winners, click here. The books Oprah has chosen have sold more than 22 million copies in the past ten years, and that number only includes the special editions branded with her logo.4 Although Oprah’s daytime talk show has come to an end, she has promised to continue her book club with a show dedicated to books and authors on her new network, OWN.5 It remains to be seen if the effect will be as substantial without the daily talk show promoting books. For a list of Oprah book club selections available on audio from Midwest Tape, click here. As this article from Library Journal points out, acquiring audiobooks can be a challenge for libraries due to vendor exclusives, different publication dates for audiobooks vs. print editions, and any number of other factors. The rise of digital editions has only compounded this problem. However, Midwest Tape is here to help. It’s true that other vendors do offer some library edition titles that we don’t have access to, but such is the case with all vendors. However, we do have the widest array and the broadest depth of titles out of any library vendor, and we offer the most flexible standing order plans and competitively price our titles. Plus, we now offer library exclusive audiobooks from Dreamscape Media. Does your library have any events or promotions planned for Audiobook Month or for the summer in general? What titles are your patrons clamoring for right now? Let us have your thoughts in the comments section below.